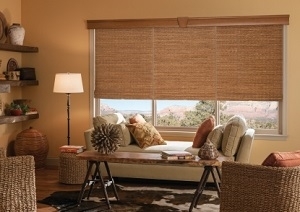 One of the most unique options for window treatments is woven wood shades in Charlotte. This style of window covering offers the unique ability to dress up an otherwise casual room or tone down a seemingly overly sophisticated one. In order to make the best decisions possible, as an informed homeowner and a savvy consumer, it comes down to who you team up with to get the work done. Here at Sweet Shutters and Shades, we take great pride in the fact that we educate our clients on their various options. How else can you make a choice about your window coverings if you are not provided the proper information to make good choices? The difference is that our team is in the business of expert, customized window treatments; others are just window blinds salespeople peddling mass-produced overstock. You can rest assured that, by working with our Charlotte window blind company, you get the expert level of quality you need and deserve. From the advice we provide you with to the high quality products we install for you, it is all about excellence. We even rely on reputable industry brand names, such as Hunter Douglas and Graber, for the exceptional materials we use for our clients. This can be the perfect choice for anyone looking to make their home more eco-friendly. The materials for the blinds come from renewable resources. Plus, once they have completed their life cycle,they are recyclable. This is an ideal option for anyone who prefers to still allow in diffused sunlight. The looser the weave, the more light and the less privacy. Yet all types of woven wood shades allow in some amount of natural light. If you prefer to block the light, as well as the UV rays, you can add a liner. This is something that we will discuss with you when you customize your window coverings. You are going to love the look that we are able to create for your window treatments. Give our window shade experts a call today to get started with a free in-home consultation. From blinds to shades, we've got the products you're looking for at prices you'll adore. 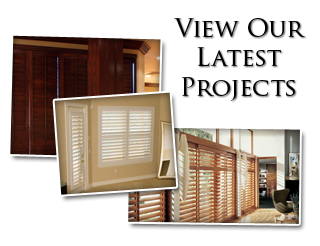 Let Sweet Shutters and Shades provide you with the information that you need, so you can make a wise and informed choice. We look forward to working with you and providing you with the quality materials and service you need, for your woven wood shades. One thing we know for sure, you are going to love the final look that we create. 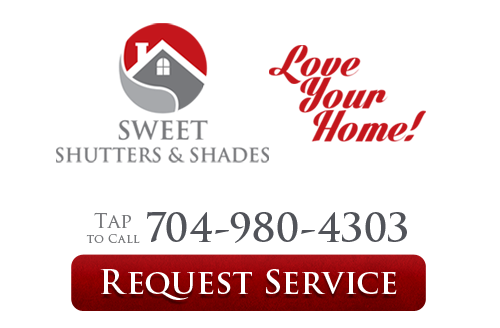 If you would like an estimate for custom woven wood shades in Charlotte, NC or the surrounding areas, please call Sweet Shutters and Shades at 704-980-4303 or complete our online request form.